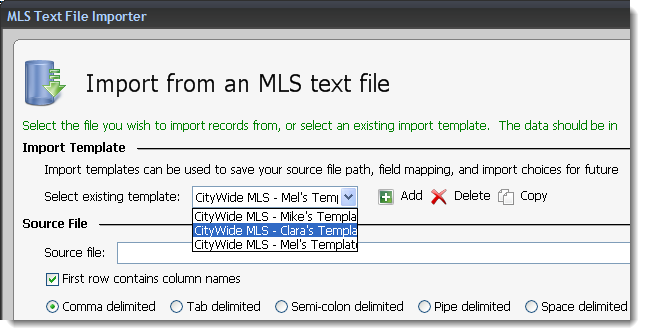 Click here for instructions on adding a new template if you haven't created an MLS import template. 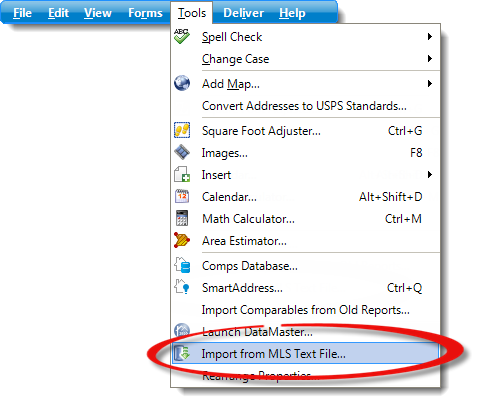 Export the property data from you MLS or other data source in a .CSV or .TXT file format. Select your existing field mapping template from the drop‑down menu. Next, click Browse on the upper right and browse to the location of your MLS export file. Once you have found the file you want to use, select it and click Open. Click Next to configure the existing field mapping. In Step 2 of 3, the field mapping settings you configured when you created your template are displayed. Match any additional fields, remove fields that were mapped previously, or add any additional clean up rules as needed. When you're finished, or if no modifications are needed, click Next to proceed. 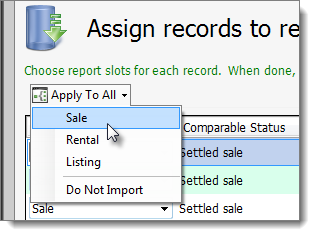 Select Sale to import the property to the next available comparable sale slot in your report. If more properties are being imported than what is available in your report, TOTAL adds an additional comps page to your report. 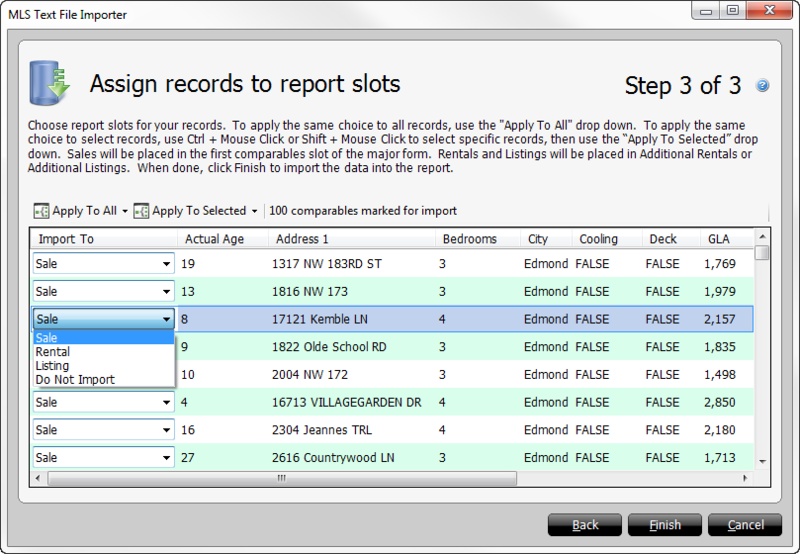 Select Rental to import the property to the next available rental slot in your report. If more properties are being imported than what is available in your report, TOTAL adds an additional rentals page to your report. Select Listing to import the property to the next available listing slot in your report. If more properties are being imported than what is available in your report, TOTAL adds an additional listings page to your report. Select Do Not Import if you decide you don't want to import a certain property. Once selected, and you proceed to another property, None is displayed in the Import To column. Click Apply To All on the upper left to select the same property type for all properties in your import file. Once you have chosen how to import your properties, click Finish to complete the import process and add the properties to your report.